If you want to protect your car, purchasing the best car cover can be a wise decision. There are different types of car covers that are made to meet your needs. The presence of so many options makes it hard to choose and this is why I have created this guide. The following tips will help you buy the right car cover. This is probably the most important consideration that you should think about when buying a car cover. You want to have the best model that is designed to fit your car well. 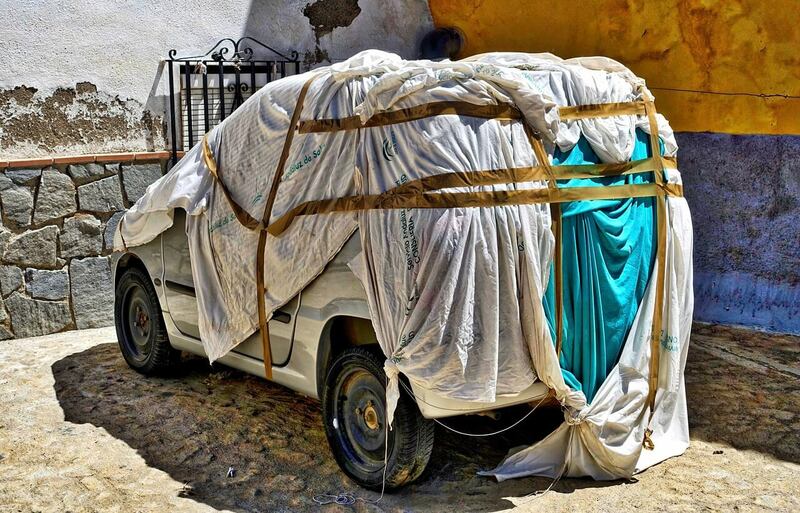 The only way you can get a good performance from a car cover is buying the right size. This means that you do not want a car cover that is too small such that it doesn’t cover your car as needed. On the other hand, you do not want a car cover that is too large such that when blown by wind it allows dirt and debris to get in your car. Where do you want to use the car cover? This is another important consideration that will help you select the right car cover. Do you want to use it indoors or outdoors? Some car covers are specifically designed for use indoors while others work well outdoors. Depending on where you store your car, it will be easy for you to select an indoor or outdoor car cover. Indoor car covers are lighter and they have a more breathable material. The breathable material prevents condensation from being trapped between the car and the cover. The covers are also softer but not as durable as outdoor car covers. Outdoor car covers are less absorbent and they are waterproof. They are designed with UV resistant material and most of them feature a hook to attach to your vehicle. The hook prevents the car cover from being blown away during a heavy storm. The right car cover will also depend on individual preferences. For instance, if you love traveling a lot, you definitely want a portable car cover. Having a bulky one can be a luggage. Therefore, pick a model that is lightweight and comes with a storage bag to make transportation easy. You can check out different car covers from various manufacturers and find which one is easily portable. You can sought them out depending on the weight and the type of material used. Do not just buy a car cover without considering the weather of the season. For instance, a winter car cover is designed to provide more protection as compared to car covers for indoor use. Check out what the manufacturer recommends and this will make it easy for you to select a quality car cover that will meet your needs. Car covers come in different types, materials, features and much more. They also vary when it comes to prices. You can find cheap, middle price to expensive models. As a general buying rule, expensive car covers do not necessarily mean they are of better quality. You can still find affordable models that work even better than the expensive model. Make sure you buy a car cover that matches well with your budget. If you are buying a car cover for outdoor use, then you need one with a strong construction so that it can last longer. Durable outdoor car covers provide a good value for your money. You can use the car cover for many years before you think of replacing. Check out whether it has a leak resistant seam, backup seam and overlapped seams to enhance its durability. The design and the color of the car cover also play a huge part when picking the right model to suit your needs. There are various colors that you can choose from depending on your liking. When it comes to design, modern technology has taken car cover manufacturing to a high level. Today, you can find 3D designs and other advanced changes. This has made car covers you will find on the market lightweight and designed to provide a custom fit to the type of car that you have. Car covers become dirty so they will also require cleaning from time to time. It is important if you select a material that is easy to clean and maintain. If you put a dirty car cover on your car, then you can end up causing more damages like scratches. Proper cleaning will prolong its lifespan. When you buy your car cover, you will get instruction so cleaning can vary from one model to the other. However, most car covers are cleaned using lukewarm water, mild detergent. You can also find models that are machine washable but avoid using fabric softeners or any type of drying. Getting your dream car can be a big step in life. This is why it is important to take care of the car so that it maintains its good look for long. Car covers work well in protecting your car from different elements. If you were wondering how you will get the right car cover to suit your needs, I believe you now have enough information that will help you select the right car cover. Make sure you go through the above tips and you will find it easy getting a custom car cover.